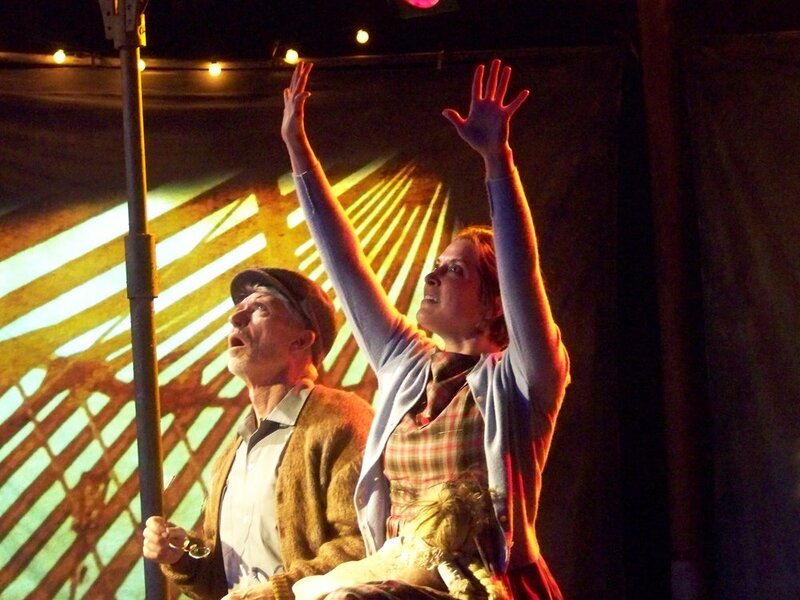 "24th ST Theatre delivers the evocative, cathartic goods." 24th STreet Theatre is an arts organization like no other, unique in creating award-winning theatre for young audiences that is sophisticated enough for adults. Built in 1928 as a Carriage House, these walls were once home to the working horses of the grand Victorian homes in this neighborhood, many of which still stand today. Thus, this historic old building has always served a useful purpose; in its past and now in its present. Since 24th STreet Theatre’s beginning in 1997, the organization has taken on a life of its own. Located south of the traditional arts district of downtown Los Angeles and north of the University of Southern California, we started out just intending to do plays. But we quickly found that this was a neighborhood that deserved…demanded so much more than we had planned to give. It was a neighborhood like we thought had ceased to exist. A community where people still knew each other. A true neighborhood with as much character as our charming old carriage house. We realized that we had to change how we think about theatre and the role of theatre in the Los Angeles community. We began by offering free after school arts programs to the students in the community, with our After 'Cool program, and partnering with LAUSD to offer our world-class Enter Stage Right field trip and show to elementary students throughout the greater Los Angeles Area. In 2012, 24th STreet received the Peter Zeisler award for Outstanding Achievement in American Theatre, from the Theatre Communications Group. In 2013 we launched our Teatro Nuevo initiative to bring more Spanish-speaking audiences into the theatre, and that program has landed 24th Street Theatre in the forefront of cross-cultural theatre programming. In 2014, our production of Walking the Tightrope received the LA Weekly Production of the Year Award. This category had never been won by a piece intended for young audiences, and has established 24th STreet as a leader in Theater for Young Audiences across the nation. "A place for groundbreaking theatre that takes kids along for the ride." Welcome to 24th ST Theatre's 21st Season! We've been inspiring audiences of all ages with engaging, thought provoking theatre that speaks to the urgency of these extraordinary times we live in and transforming the genre of children's theatre in Los Angeles for more than 20 years! Our season theme is LOVE. Our 12th annual Día de los Muertos celebrates our community and the love for their culture and lost loved ones. Our Teatro del Pueblo production of La Víspera shows what the loss of love can do to you, and how love can reconnect you to your community. Our spring production of The Miraculous Journey of Edward Tulane follows a toy rabbit who learns to love, what it is to lose that love, and how to find the courage to love again.